This item is being replaced by KIM-02029. Tested for more than 950 contaminants! 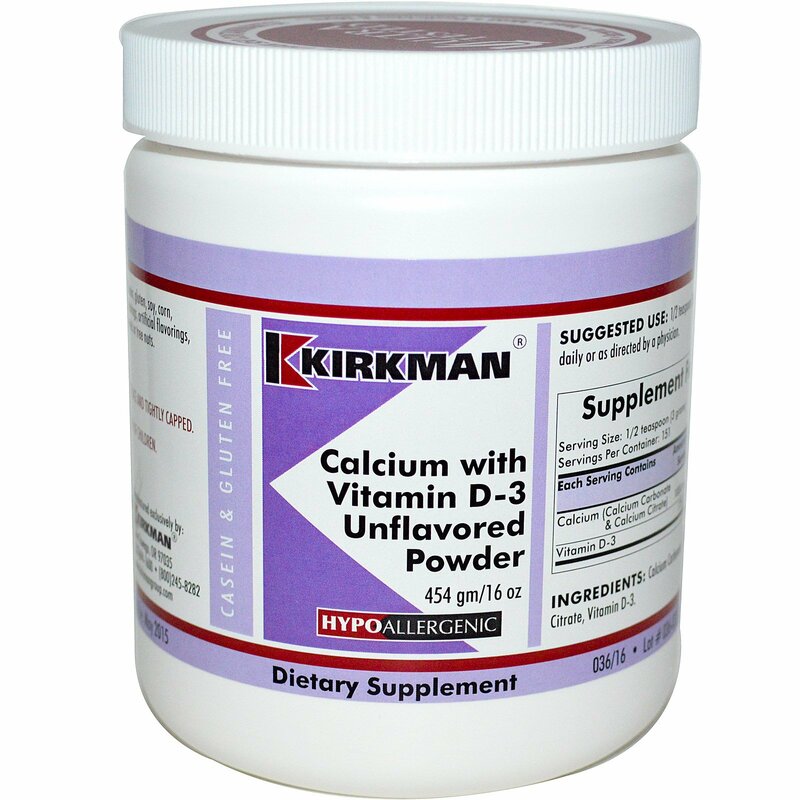 This is a hypoallergenic formulation of calcium powder with vitamin D that has been specially designed for individuals with special requirements and sensitivities. The powder is an unflavored blend of calcium carbonate and calcium citrate with no additives. It mixes easily in food or beverages and can be used in baking at moderate temperatures. It has been successfully incorporated into cookies, pancakes, muffins and other baked goods; however, some of the vitamin D content may be lost if used in baking. 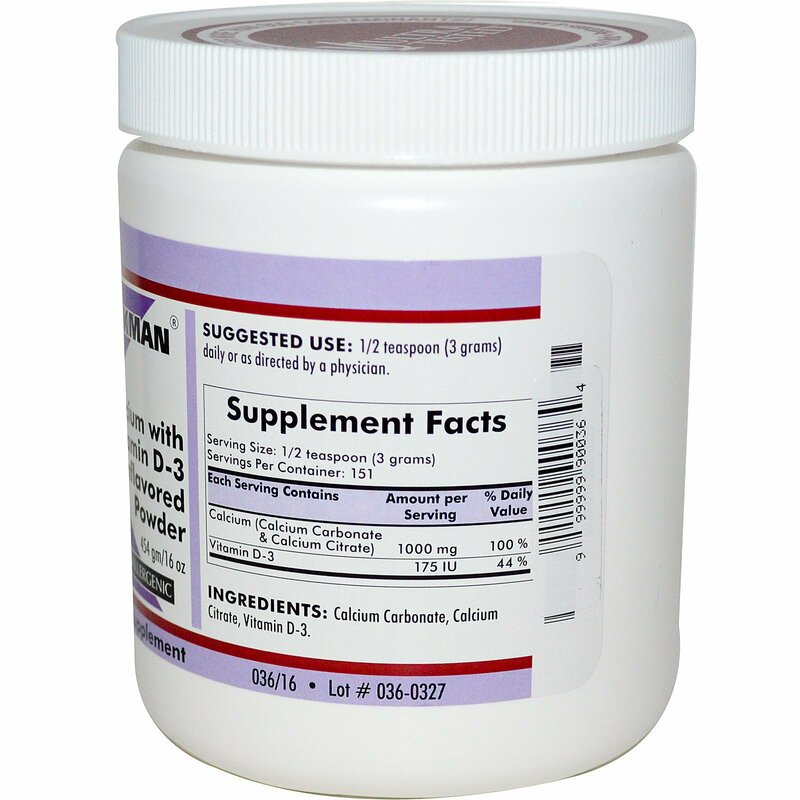 Calcium carbonate, calcium citrate, vitamin D-3. Free Of: Sugar, casein, gluten, soy, corn, wheat, milk, artificial colorings, artificial flavorings, gelatin, yeast, fish, peanuts or tree nuts.